I must say, I LOVE holey jeans. LOVE, LOVE, LOVE, and LOVE. I'm more of a practical girl, so usually I wait for my jeans to naturally become distressed. This takes a few years of wonderfully breaking them in during normal wear. Once my jeans hit the holey phase, I wear them even more. Unfortunately, from years of wear my jeans also develop holes in other more "ris-kay" places. My poor holey jeans don't last long before heading to the recycling pile. So, imagine my delight with the whole "distressed" trend!! Now I LOVE, LOVE, LOVE, and LOVE my distressed jeans! But I want them to last. Here is how I reinforce the holes (or cover them if you are modest) so my jeans will last a while. 1). Gather your supplies. All you need is a double sided fusible web (Steam-A-Seam, Heat N Bond, and Wonder Under are popular brands you can find at a large superstore or fabric store), scissors, iron, fabric, and you distressed jeans. I also use parchment paper to back everything so my iron, ironing board, and the other side of my jeans don't get dirty. PLEASE NOTE! DO NOT TRY TO IRON YOUR DISTRESSED JEANS WHILE YOU ARE STILL WEARING THEM. 2) Your fusible webbing will come sandwiched between two pieces of parchment paper (if you purchased a small amount) or rolled. Cut out the amount you need. Take off one side of parchment if yours is sandwiched. 3) Grab your fabric and put it RIGHT SIDE DOWN on the fusible web. This is the side that you want to show through your hole. 4) Cover with parchment and iron. 5) Remove the parchment from the RIGHT SIDE of your fabric. 6) Find your distressed pants, turn them inside out, and slide a piece of parchment paper inside the leg so nothing irons through to the other side. Since my jeans are stretchy, I had to pin them open. An extra pair of hands will also work. 7) Trim your patch and put it RIGHT SIDE DOWN on your inside out pant leg. Iron. 8) Remove the remaining parchment and you are finished! 9) Repeat as needed. I used a darker jean color for the holes on my knees and I used a white knit for the distressing on my thighs (just to be modest). To care for your patched pants, wash inside out on a cold setting. Hang to dry or dry on low heat if you are a daredevil. Remember, you ironed on those patches so a high heat will weaken the bond and negate your hard work. All finished! Look at those patched distressed jeans. Beautiful! I love quick designs. We have four kids, and I barely have a complete thought all day. Getting time to test out a complicated applique is not at the top of any list that you would see sitting around my house. Seriously. I just had a tooth pillow design on my machine for a week. Little. By. Little. It would get stitched out. So, I love quick designs. I first ventured into these quicker designs by making an Easter saying a few years ago. Four years ago to be exact. Wow, time flies! 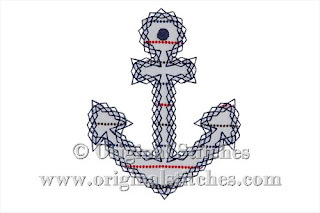 At that time, customers were only interested in applique. I made the bunny applique as a compromise. But, I kept toying with the idea of quicker designs. And then my son decided on a sports car birthday shirt. He was turning nine so I kept it simple. No applique. Just stitching. And again when he turned ten. Simple. 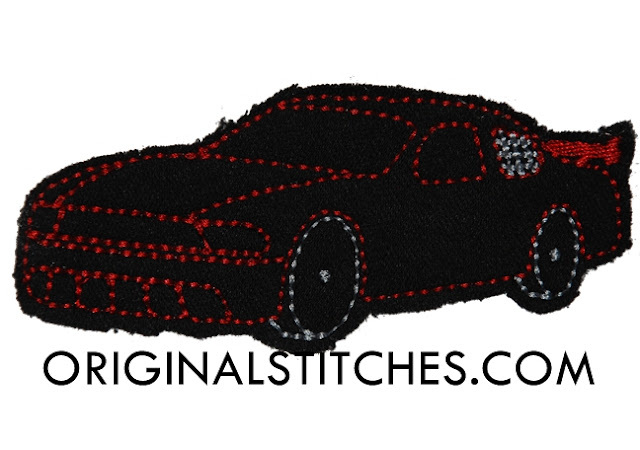 Just stitching. At this point, I gave up all pretense about have time to stitch out appliques all of the time and started doing what I call "Quick Stitch" designs. There is nothing fancy about these designs, just some quick stitching for moms who do not have a lot of time between naps, dinner, and bath time! 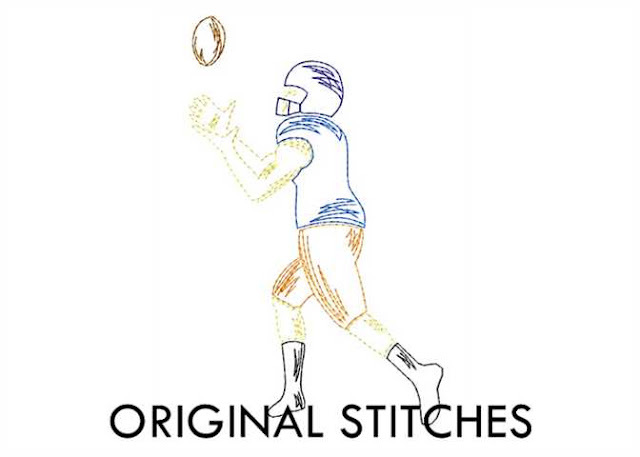 There are a lot of fun things you can do with Quick Stitch designs! If you have the forethought, add a layer of fabric between your stabilizer and garment. When you are finished stitching, trim your garment (SCARY! I KNOW!) 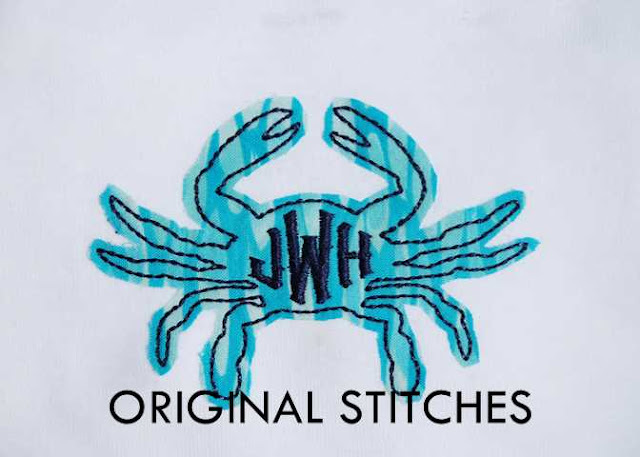 and you'll have a reverse applique. Or grab some felt and make a tag. Use a tear-away stabilizer so you can remove the "white" at the end. Yes, you may have some stitching see through to the other side, but you can always stitch the name first, or run the design twice and add a felt piece to the back. 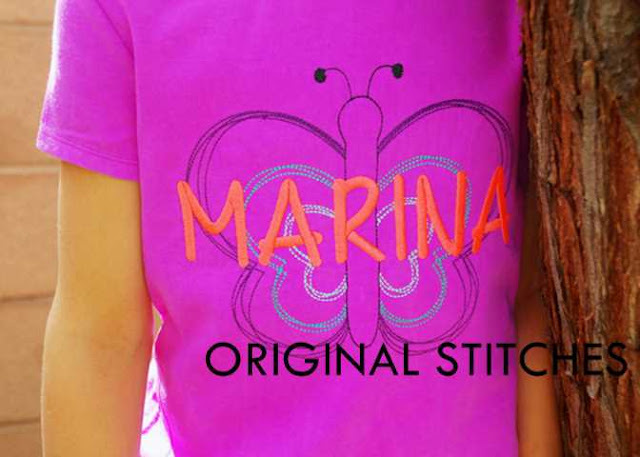 Quick Stitch designs make it easy to add any name or saying without too much stitching! Or use a piece of fabric on top of your garment to add a splash of color. 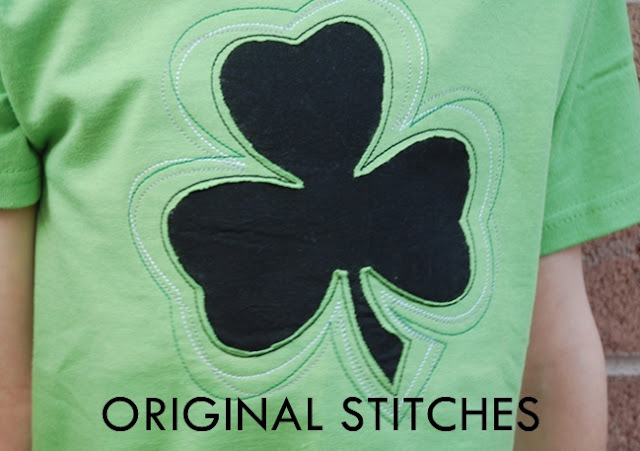 There are many ways to use our Quick Stitch designs. But, the best part about them is that they leave you time to spend with your family. Come stop by our Facebook Group Page where you get special discounts and FREE designs!